The default Apple.com start page Safari directs users to upon opening appears to have gone live recently after having been absent from the company's servers for months. First spotted by AppleInsider reader Gregg, the start page looks to have the same design as it did when the URL began redirecting users to the Apple.com homepage sometime in June. Although Safari used the start page as its default homepage, it was thought to be one of the least visited pages on the company's website as the web browser's property is one of the first to be changed. Users often change Safari's homepage to their favorite website or a search engine. The current start page carries over the same template as the most recent redesign, which occurred in 2008, and features four prominently-positioned tiles that dynamically change, cycling through the latest products on each page refresh. Apple's online store, featured commercials and iTunes movie trailers flank a central "Hot News Headlines" RSS feed that seems to be up to date. 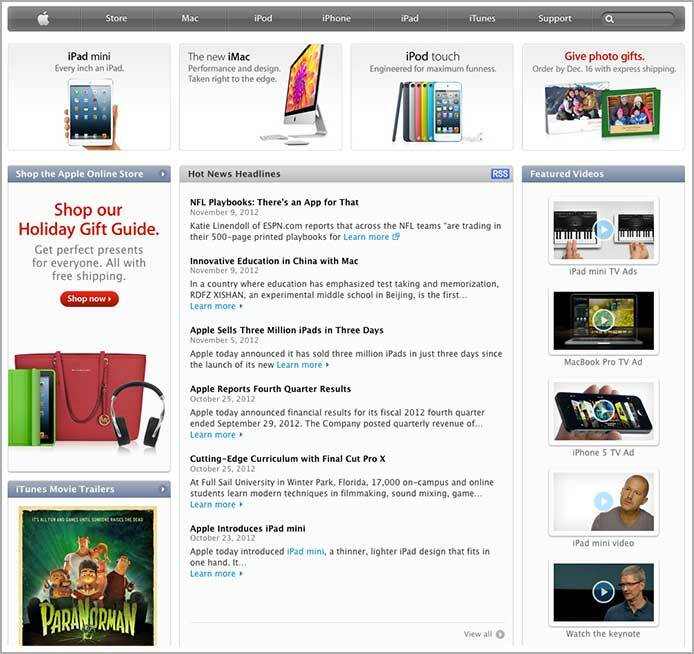 The bottom of the page is reserved for a large section featuring content from iTunes. Those interested can visit the start page here.